NTT DoCoMo unveiled the brand name and logo of its forthcoming LTE next-generation mobile service for the Japanese market, which is scheduled to launch in December. The brand name is written Xi™ and read “crossy.” The logo is shown below. The “X” denotes both “connection” and “infinite possibility,” and the “i” both “individual user” and “innovation.” The logo, which resembles the infinity symbol, aligns the letters in a single stream to embody the bonds that organically link people, goods and information, and lead to new innovation. DOCOMO’s Xi LTE service will offer downlinks of up to 75 Mbps, approximately 10 times faster than the company’s current FOMA™ 3G service. Initially, Xi will be available in the Tokyo, Nagoya and Osaka areas, but coverage eventually will be expanded to other major cities and then additional areas of the nation. Xi users will be seamlessly handed over to the FOMA network whenever they leave a Xi service area. Xi handsets, billing plans and other details will be announced later. Meanwhile the world got its fourth commercial LTE network this week, and its first outside the Nordic region - in the unlikely telecoms hotspot of Uzbekistan. The Uzbek launch came from Russian giant MTS, and shows how some emerging global telecoms players plan to leapfrog rivals by deploying LTE or WiMAX in markets where 3G is under-developed, and then harness that experience for their mainstream territories. MTS follows TeliaSonera's three LTE commercial switch-ons (in Sweden and Norway plus a soft launch in Finland). MTS calls its new network "the first fully operational 4G network in the CIS and Central Asia" and is it initially available in the central zone of capital Tashkent, boasting theoretical peak speeds of up to 100Mbps using dongles. The network runs in the 2.5-2.7GHz band and the equipment comes from Huawei. I have blogged about SON's on different occasions. Recently I came across SOCRATES project that aims at the development of self-organisation methods to enhance the operations of wireless access networks, by integrating network planning, configuration and optimisation into a single, mostly automated process requiring minimal manual intervention. Regarding the technological scope, SOCRATES primarily concentrates on wireless access networks, as the wireless segment generally forms the bottleneck in end-to-end communications, both in terms of operational complexity and network costs. As a consequence, the largest gains from self-organisation can be anticipated here. We select the 3GPP LTE (3rd Generation Partnership Project, Long Term Evolution) radio interface as the central radio technology in our studies. The reason for this choice is that 3GPP LTE is the natural, highly promising and widely supported evolution of the world’s most popular cellular networking technologies (GSM/EDGE, UMTS/HSPA). The SOCRATES project is supported by the European Union under the 7th Framework Program, and will run from January 1, 2008 until December 31, 2010. You can view and download all the presentations from the SOCRATES Project here. This white paper provides a summary of the MultiService Forum’s (MSF) Global LTE Interoperability event which took place from March 15-30, 2010. 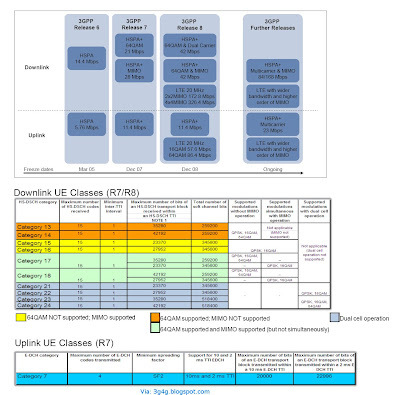 The LTE Interoperability Event is designed to test standards compliance of Evolved Packet Core network scenarios of interest to major Service Providers, and to gauge vendor support for this technology. 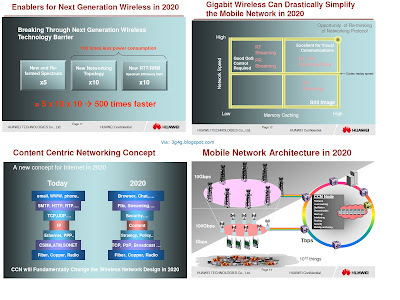 Building on the success of previous Global MSF Interoperability (GMI) events, the LTE Interoperability event provided the first global “real network” multi-vendor trial of the Evolved Packet Core infrastructure. 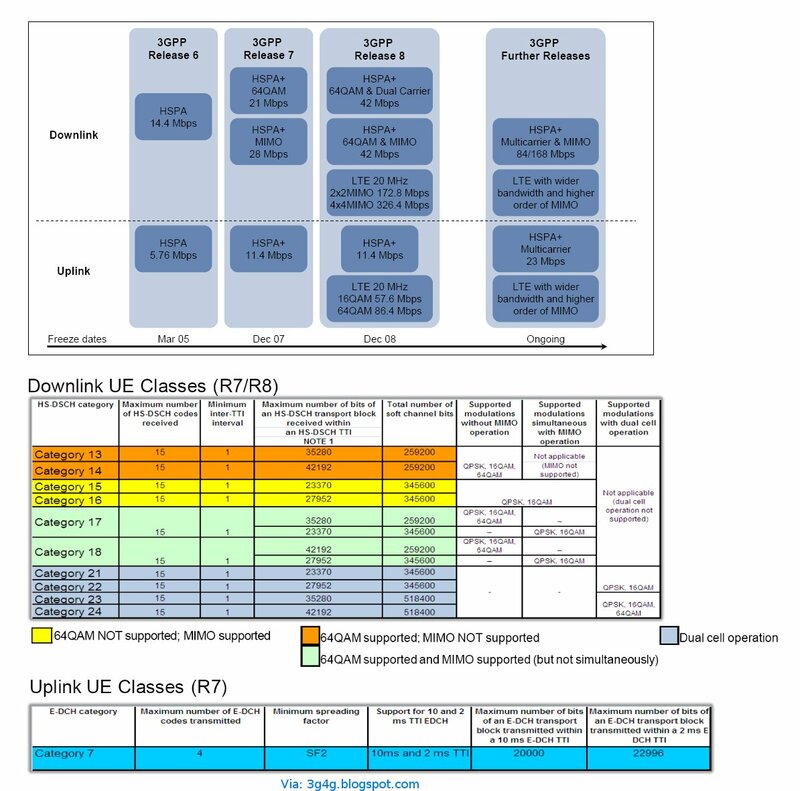 Incorporating the Evolved Packet Core defined within the Third Generation Partnership Project (3GPP) Release 8 (R8) standards, the MSF architecture introduced new access tiles to support LTE access and non-3GPP (specifically eHRPD) access to EPC. The IMS core network provided the application layer for which services may be deployed, and the binding of Quality of Service utilizing the Policy and Charging Control (PCC) for the bearer. The event demonstrated that most of the defined LTE/EPC interfaces were mature and interoperable; however limited backwards compatibility between different implementations of 3GPP Release 8 specifications did create some issues. The fact that 3GPP does not require backward compatibility is a known limitation, but it is important to understand that this is limiting interoperability with commercially available equipment. Service providers will need to factor this into vendor selection. Sessions were successfully established via LTE access to EPC, with creation of default and dedicated bearers with appropriate Quality of Service applied. Access to the EPC via a simulated eHRPD access was successfully tested. Though the essential standards are reasonably mature, the implementation of early versions of the standards within several of the available implementations of network nodes highlights the problems that can arise due to non-backwards compatibility between 3GPP releases. It is also clear that early implementations have focused initially on development of LTE access to EPC and that support for legacy access (2G/3G) to EPC is somewhat behind. Events such as the MSF LTE Interoperability event highlight these issues and prove the validity of the MSF approach to achieving multi-vendor interoperability. This paper is available to download from here. Alcatel-Lucent is positioning itself as the only single-vendor solution that service providers need to deploy Long Term Evolution (LTE) networks, including everything from the radio access network and mobile backhaul to routing, base stations, and applications enablement. The infrastructure giant is taking this message on the road with a 53-foot LTE trailer equipped with 84 TVs to demo what next-generation networks can do, besides just make things really, really fast. In fact, one theme in all of Alcatel-Lucent’s demos isn't the speed, but the need for one throat to choke when deploying LTE, whether an operator is evolving from a 2G or 3G network or starting from scratch -- the route AlcaLu hopes they will take. The other strong theme is the applications LTE will enable, both for businesses and consumers, and AlcaLu's strong position with the developer community. 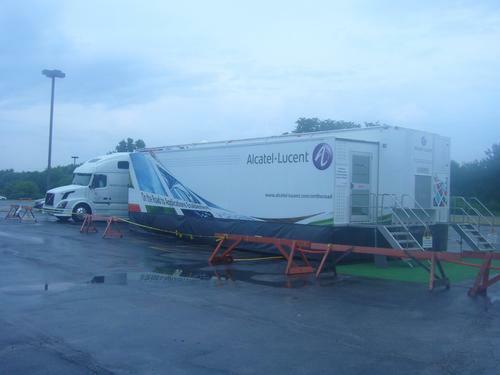 The Alcatel-Lucent trailer not only demos multiple applications, many of which are video-based, but shows how they can run simultaneously on LTE. One significant challenge will be Alcatel-Lucent's ability to blend those two themes. Read the complete article at Light Reading here. Meanwhile, Ericsson CEO Hans Vestberg has been complaining that there are components shortage industry-wide. "We share the same suppliers with consumer electronics makers and others," said Vestberg. "There is a fierce competition for those components." Vestberg said he believes the components pipeline will open up soon, although other networks providers don't look for much of a supply improvement for several months. Ericsson has been digesting the Nortel acquisition, which solidified its position as the leading LTE infrastructure provider. It also gained an important beachhead in South Korea with its acquisition of Nortel LG, now Ericsson LG. "Over the past years, we have gone through major changes with cost reductions and strengthened portfolio and market presence while maintaining our technology leadership," said Vestberg. "The cost reduction program initiated in the first quarter 2009 has been completed, reaching its target. Going forward, cost and capital efficiency will remain top of our agenda." Read the complete article at Information Week here. 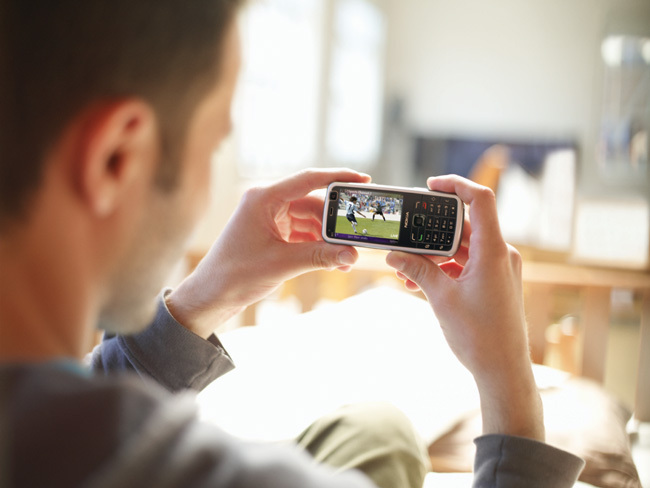 Bad news for Mobile TV proponents and supporters. Qualcomm apparently is in talks to sell off its struggling MediaFLO digital mobile TV business, executives said in a conference call on Wednesday. The announcement came during the conference call accompanying Qualcomm's third-quarter earnings. Qualcomm reported net income of $767 million, up 4 percent from a year ago, on revenue of $2.71 billion, which decreased 2 percent over the same period a year ago. During the call, Qualcomm chief executive Paul Jacobs announced the new direction for its MediaFLO business, a subsidiary of Qualcomm. 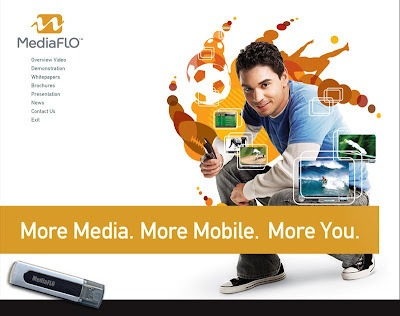 MediaFLO brands its digital mobile television service as FLO TV. Qualcomm had saddled the business with a three-year, nonrefundable prepaid service agreement, which apparently hasn't helped MediaFLO's prospects. "With respect to our FLO TV business, we're engaged in discussions with a number of partners regarding the future direction of the business," Jacobs said, according to a transcript by Seeking Alpha. "We are considering a number of alternatives and we will update you as appropriate." This news comes at a time when Mobile TV business as a whole is not doing very well. Couple of weeks back I blogged about Mobile TV in China which has not been as successful as initially thought. Qualcomm was one of the early proponents on another technology called MBMS. Couple of years back they decided to back MediaFLO and not focus much on MBMS. They bought the 700MHz spectrum in the US and launched nationwide TV network. This is also used by other carriers to deliver broadcasts to their devices. In fact just a few months back they were pushing their standalone FLO TV device. Anyway, it seems they have probably given up on Mobile TV idea like a lot of others who dont see much return for the investment in Mobile TV. The average person is happy and content just to be able to watch Youtube on their mobile. One option might be to shutter MediaFLO itself and sell on the licenses and tower assets - 700MHz is seen as beachfront spectrum in the US, and both Verizon and AT&T will build their initial LTE networks there. Jacobs made clear, in an interview with GigaOM, that he would rather keep MediaFLO as a content system. He said: "We want to see FLO continue so it's not like we'd want to sell the spectrum, but there are certainly people who would buy it for the spectrum. The spectrum is extremely valuable." Qualcomm always intended to sell MediaFLO eventually - its usual route when it invests in spectrum and builds networks. The same pattern will be seen in India, where it will work with local partners to create a TD-LTE system in the 2.3GHz spectrum it recently acquired and then will sell the business on once established. However, it would have hoped to make more return on its investment in FLO before exiting. "We put FLO TV operations into our strategic investments for financial reporting because we always intended to get out of the operator business. …. It's not operating the way we want it to - it's not necessarily our core business, so we're looking at our options," Jacobs said in the same interview. 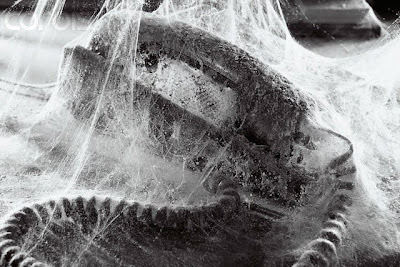 I guess its time to clean the cobwebs off the landlines. I was reading David Chambers analysis on Homezone tarrifs and it reminded me of the time when I would get big bundle of voice minutes to call using my mobile from home. In those days the voice quality seemed better, signal strength indicator was high and there were hardly any dropped calls. Nowadays, the signal strength seems to have gone worse whether I am in the office or at home, the voice on the calls keeps breaking, there are too many dropped calls. To give you an idea of what's going wrong; My phone kept stationary at the table has 4 bars strength of 3G/HSPA, it suddenly becomes 1 bar after 2-3 minutes then hands me over to what the phone says GPRS then the phone says EDGE. If the phone says EDGE then my calls drop within 2 minutes. If my phone says GPRS then I am worried that if it hands over to 3G then my call will drop. If the phone says 3G then unless there are 3 bars, the voice breaks. Last week I used my landline phone after maybe a year or so and that reminded me how good the voice quality is. In theory the voice quality using mobile phone should be as good as the landline but in practice that may not be true. Of course the wideband AMR can offer much better HD voice but I need reliable voice more than HD voice. So for the time being, I am going to be sticking with the landlines as far as possible due to reliable and clear communications and wait for the mobiles/networks to catch up. Interesting analysis from Matthew Bloxham from Deutsche Bank Telecoms Research in the LTE World Summit 2010. Couple of years back I blogged about MCN and ODMA concept. Another variation of this idea is now in news again. Australian scientists have created a mobile phone that can make and receive calls in parts of the world that would normally have no reception. The phones contain a built-in mini-tower that allows them to connect to other phones via Wi-Fi and create their own network. Researchers at South Australia's Flinders University devised the phones to work in the event of a natural disaster or terrorist attack when normal mobile phone services had been cut off. Dr Paul Gardiner-Stephen said the phones had been tested successfully in the remote Outback where mobiles cannot pick up a signal. "There was absolutely no infrastructure or support for the telephones so they were acting entirely on their own to carry the calls," he said. The phones are unlikely to replace existing mobile systems, but could be combined to create fail-safe communication. "One of our dreams is that every phone will come out with this one day so that if there is a disaster anywhere in the world everyone's phones will then switch over to this mode as a fallback," Dr Gardiner-Stephen said. 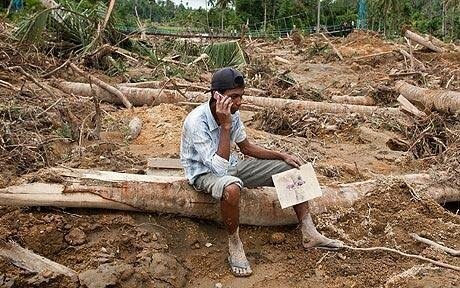 "When the infrastructure is knocked out we still provide good service while the traditional mobile phone network provides no service." At the moment, the signal between phones is limited to a few hundred yards, but the team hopes to expand the range in the future. I dont see them becoming reality for quite some time to come but its an interesting concept. This is not the first time this idea is being proposed. As I have discussed, ODMA was intended to do something similar but did not take off. MANET's are other areas that have been worked on for quite some time and you can find good ideas and journal papers. There is also this paper talking about Ad-Hoc networks for mobiles using Bluetooth. In fact going many years back, Iridium idea was launched with something similar in mind. I remember reading jornal papers back in 1996 that mentioned that Iridium phones will work like landline phones when you are in your house and will work as cellular when out of house and in an area with cellular coverage. If there is no cellular coverage then it will rely on Satellite communication. Of-course in those days nobody thought data usage will become this popular and so it was focussed on voice. Still I cannot see this happening for many years to come. Just saw on Tomi's Blog that the number of active connections worldwide reached 5 Billion. The number of global mobile connections surpassed the 5 billion mark this week, according to new Wireless Intelligence data. The milestone comes just 18 months after the 4 billion mark was reached at the end of 2008 and is in line with our earlier forecasts. 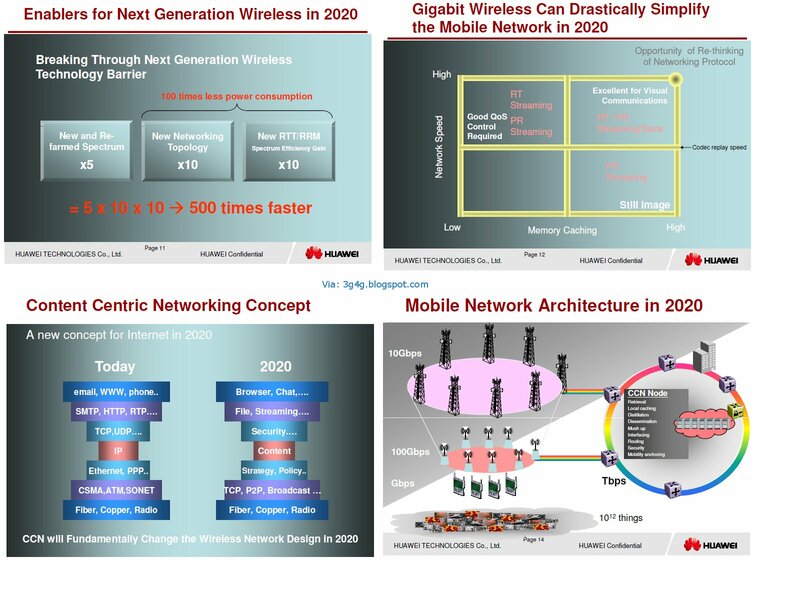 We predict that the 6 billion global connections milestone will be achieved in the first half of 2012. According to our data, the mobile penetration rate on a global basis at the 5 billion mark was 74 percent, compared to 60 percent at 4 billion. The highest penetrated region is Western Europe on 130 percent, while the lowest is Africa on 52 percent. Eastern Europe (123 percent) is the only other global region to have passed 100 percent mobile penetration. The main driver of growth continues to be the Asia-Pacific region, which accounted for 47 percent of global mobile connections at the end of Q2 2010 (see table). This is up around 5 percent from Q4 2008 when the 4 billion connections mark was reached. Growth in Asia-Pacific is due mainly to ongoing growth in China and India – the world’s two largest mobile markets – which offset slowing growth elsewhere in the region in markets such as Pakistan and the Philippines. Growth was slower in mature markets such as Europe and North America, which now account for around 27 percent of global connections, compared to over 30 percent 18 months ago. Next milestone 5 Billion GSM and WCDMA-HSPA subscribers. 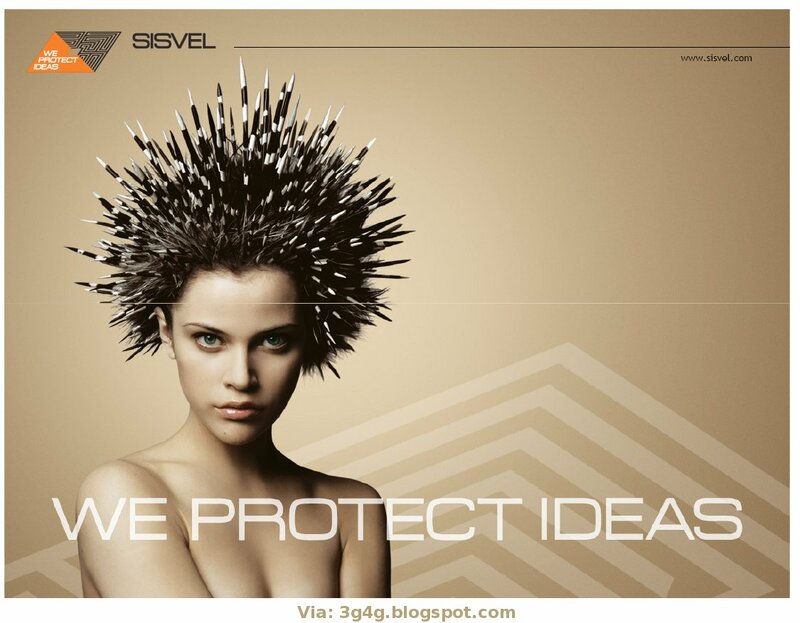 One of the things I wanted to blog from the LTE World Summit was the new Patent Pool by Sisvel. In past I have blogged about the patent pool initiatives from Via Licensing Corp. and MPEG LLA LLC. Based on Sisvel's presentation, they have the most number of companies in their pool which will make them the dominant pool and give the required clout to negotiate licensing fees. Qualcomm and its GSM technology counterpart InterDigital together control 40% of the LTE patent pool, with 19% and 21% of total patents, respectively, says Informa. Most LTE supporters want the royalty bill to be a one percentage of the sale price in an LTE handset, but IPR owners appear to be pushing it closer to 5% – similar to Qualcomm’s IPR tab. 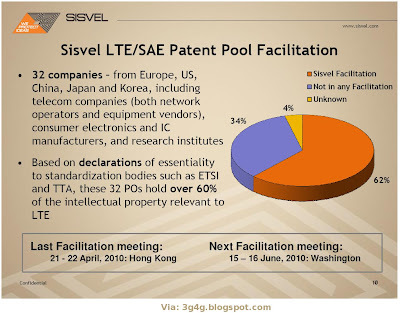 Ericsson, the world’s largest wireless infrastructure manufacturer, claims to have 25 percent of the essential patents to Long Term Evolution (LTE) networks, making the vendor the single largest IPR hold in LTE. Most of the huge IPR holders in W-CDMA – Qualcomm, Nokia, Ericsson and InterDigital – are also claiming a big share of the LTE patent base. Ericsson claims contradict a survey from Informa regarding essential IPR holders. Informa estimates Ericsson is much lower in the IPR ranking, behind Qualcomm, InterDigital, Samsung and Huawei in total patents, with emerging vendors such as Huawei also contributing 4G development research. 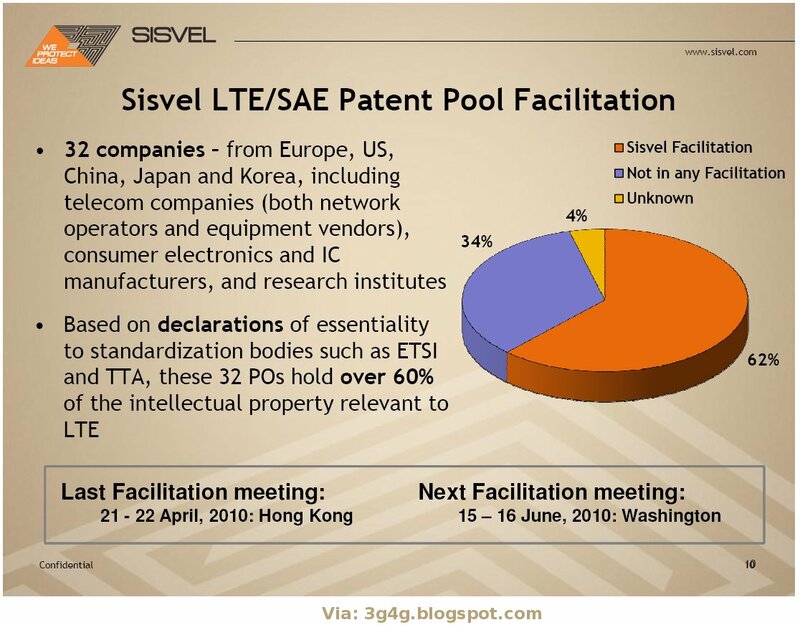 Ericsson believes it holds nearly 24 percent of awarded essential patents for LTE. Informa estimated that Ericsson holds about 7 percent. Unlike Qualcomm – which by almost everyone’s calculations remains the leader in essential IPR – Ericsson is favouring a patent pool approach, which would set the total royalty rate for combined patents at under 10%, says Caroline Gabriel. View more presentations from Alex Lee. Its been a while since we talked about HSPA+ rollouts. In between we did hear about the data rates bumping upto 84Mbps and even 168Mbps. The good news is that now there are actual rollouts happening with 42Mbps HSPA+ and others in pipeline. 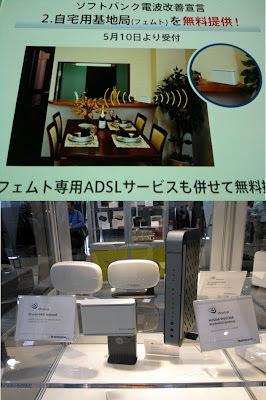 In Japan this week, the smallest operator, eMobile, 'soft launched' Japan's fastest network. Using Ericsson kit, the fourth cellco made its new HSPA+ (high speed packet access) services available to select users, promising theoretical download speeds of 42Mbps. This iteration of HSPA+ has only been adopted by a few carriers so far, notably Australia's Telstra. The full commercial launch of eMobile's data-driven network, in metropolitan areas such as Tokyo, Tokai and Osaka, will take place by year end. According to Wireless Intelligence, the small player has 2.5 million subscribers - just 2.3 per cent market share - but enjoyed a high year-on-year growth rate of 52.5 per cent to mid-2010. It originally relied on an MVNO model but started rolling out its HSPA network, offering flat rate data services, in 2007. It upgraded to 21Mbps last summer using equipment from Huawei and promises LTE by 2012. Bulgarian mobile carrier M-Tel demonstrated download speeds of 42 Mbps reached via Dual Carrier HSPA+. The technology will be introduced in Sofia by the end of this year, doubling the current maximum download speed of 21 Mbps. Thanks to the 42 Mbps download speed, the customers of M-Tel will be able not only to surf the internet at high speeds, but also watch 3D and HD TV channels through the mobile network. With the new Dual Carrier HSPA+, it will take about two and a half minutes to download a 750 MB movie, compared to four hours and 45 minutes via UMTS. With the HSPA+ technology, a movie of the same size would be downloaded in five minutes and 16 seconds. M-Tel introduced the HSPA+ technology which provides speed for data transfer up to 21 Mbps last year in Sofia. By the end of August, HSPA+ will also be available in Varna, Plovdiv and Burgas. In Saudi Arabia, Mobily successfully completed trials for the coming upgrade of its state-of-the- art evolved high-speed packet access (HSPA+) network testing speeds of 42 megabits per second (Mbps), according to a statement issued by the company. The 42 Mbps speed, expected to be rolled out in major cities in the interim, will be the first major speed upgrade since Mobily became the first operator in the region to launch HSPA+ towards the end of 2009 at speeds of 21 Mbps, and closed the year with one million customers subscribed to its high-usage bundles, and an overall base of 18.2 million. Mobily’s HSPA network has given a much needed boost to household Internet usage in the Kingdom with household penetration rates more than doubling from around 14 percent for end of 2008 results to 32 percent for yearend 2009, according to the Communications and Information Regulatory Commission’s annual report. According to the same report, wireless broadband grew 488 percent to 1.41 million wireless broadband subscriptions and representing 51 percent of all broadband connections in the country, as compared to a 47 percent share for ADSL. Of those 1.41 million wireless broadband subscriptions, one million were on Mobily’s network, giving the company a market share of 70 percent market of all wireless subscriptions and 36 percent of all broadband connections in the Kingdom. Etisalat, Egypt, in partnership with Hawei Technologies Co Ltd, has launched its HSPA+ Phase 2 network in EGYPT. This new technology has already been deployed in the Etisalat Misr network. The existing network has reached an average download speed at 41.73 Mbps. HSPA+ Phase 2 increases Etisalat mobile broadband network capacity to support speeds of up to 42Mbps, from 21Mbps previously. Indosat just launch fast Internet access service DC-HSPA+ 42 Mbps in Surabaya, Indonesia. Indosat claim the DC-HSPA+ services could provide download speeds of up to 42 Mbps for customers Indosat Mobile Broadband and IM2. Previously, these service has only presented to Indosat customers in Jakarta. Essentials Of Short Range Wireless Standards presented by Nick Hunn, WiFore Consulting in Short Range Wireless Special Interest Group, 8th July 2010, The Technology Partnership (TTP), Cambridge. Couple of years back I blogged about end users making money by allowing operators to deploy Femtocells. I cant remember but someone did say that it was a crazy idea. Well Softbank, the Japanese operator is doing something similar. Rather than giving cashback, they are giving in free ADSL connection. The customers will have to sign a 2 years contract though. With free ADSL connection and a Femtocell, surely the end users are winners. They only have to invest in electricity which would not be a lot. The operator can end up as a winner as well as they get a better coverage by deploying open access Femtocells. According to Will Franks, CTO of Ubiquisys, Softbank can afford to do this because femtocells are cheap and the IMS based architecture used by Softbank allows easy scalability. They are expecting upto 200,000 femtos to be rolled out in this scheme this year. My take is that this is going to be the case but there will always be people who would be reluctant to get the Free Femtos + ADSL deal. They could instead be tempted with cashback if someone makes or receives call by accessesing their femto or instead free calls can be offered to the owner while he is camped onto his residential femto. 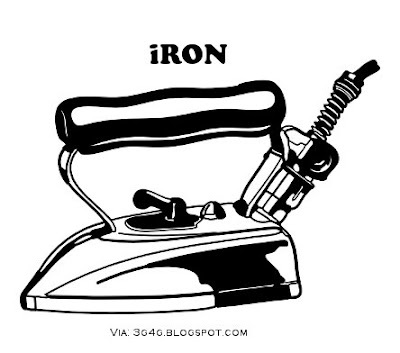 A combination of both would be a good business case as well. Anyway, Softbank is setting a good bar for other operators to compete with. Andrew Gilbert from Qualcomm at The Future of Wireless International Conference 2010, organised by Cambridge Wireless and held in Cambridge, UK on the 29th and 30th June 2010. I recently heard Prof. Simon Saunders (who has a much impressive background that i thought of) at Cambridge Wireless International conference speaking on Thinking Networks. 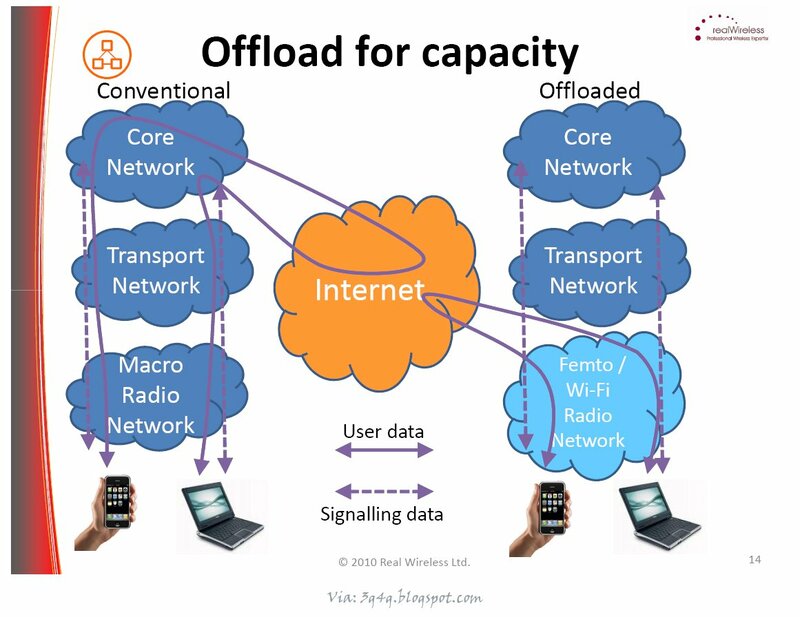 One of the things mentioned that struck me is how convenient it would be with femtocells to offload the data on the internet directly without going through the operators core. This would mean less data on the backhaul for the operators and since data would have to travel through less nodes, the speed and reliability could be higher. There is a slight problem though. In the recently concluded Femtocells World Summit (which I have blogged a lot about), AT&T has been harping about its data caps while using Femto. AT&T wants that the Femto's should mainly be used for voice and for data the users should generally switch to using WiFi. Their reasoning is based on the fact that they are not allowed to perform data offload as mentioned above due to FCC regulations. In fact the same problem may be present in other countries and would hamper the Femto growth in time. Femtocells are better for data usage as I have mentioned in past because they provide seamless coverage and better data security. It should also be pointed out that the battery drains faster when using WiFi as compared to the mobile Internet. 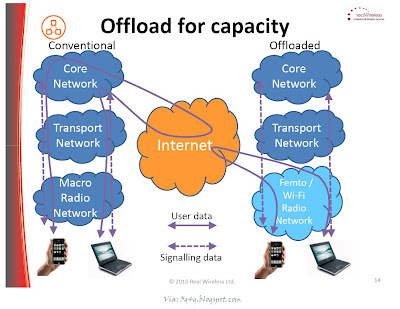 When a user uses Femtocell, he is already using his broadband data allowance and if there is additional restriction placed in terms of data caps on the Femtocell, the users may just revolt and avoid using Femtocells at all. Voice coverage advantage is good but users may prefer to switch operators if its just voice that they are using Femtos for. While the use of fixed line phones have decreased in the past (thanks to voice bundles on mobile), some users are switching back to using landlines because of the voice clarity and no reception problems. The Femto manufacturers and the operators will have to act fast if they want their future predictions to come true. It has always been a debatable issue as to how big the mobile Apps market is. Right now it is huge and seems to be growing fast. a) There is no mobile Internet, just the Internet on mobile. 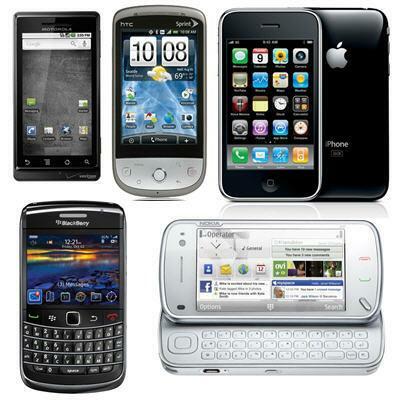 The vast bulk of usage of the Internet on mobile devices mirrors the usage on fixed networks and from PCs. In particular, there is a huge amount of mobilisation (with tweaks, yes) of existing social networks (Facebook), email and content downloads (YouTube). With the exception of mapping, most mobile-specific Internet services are niche and useless, eg Foursquare and Gowalla. Mind you, maybe I'm biased. I haven't bought a mobile application for personal use since a Java game in 2005, and don't have any payment mechanism registered with iTunes. I tend to agree with him but I think that the Apps threshold will be slightly higher like $5 per month which would be stealthily provided by the operators mainly through offers like "free apps allowance" kinda stuff. The first blackberry was released around 1999 and the Blackberry bold (the last one in the pic above) was 2009. 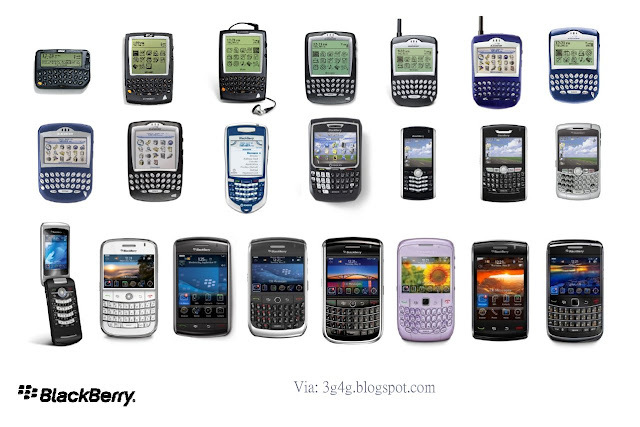 You can see that how the phones have changed radically in the last 10 years. It was interesting to see Iridium phones being displayed by Cambridge Consultants in the Cambridge Wireless International Conference. Iridium has gone through some rough times and I remember reading how Satellite communications will change the world but it never came to pass. Its good to read that the OpenPort terminals are proving effective and can help save lots of money to shipping companies.